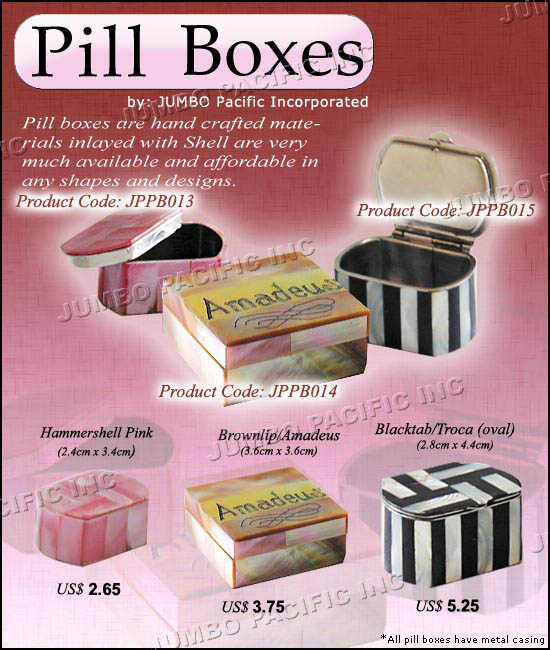 Probably the cheapest wholesale and supplier of all Philippine pill boxes as an gift items or home decoration. This shell inlayed pill boxes is best for home decoration mostly in your table room, office room, bed room, living room and most specially for keeping your medicine as a storage. 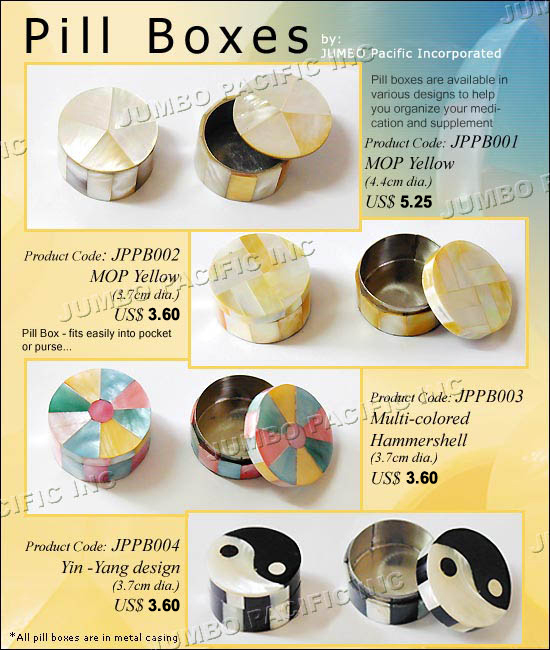 Pill Boxes Round seashell inlayed in different shell components and design. 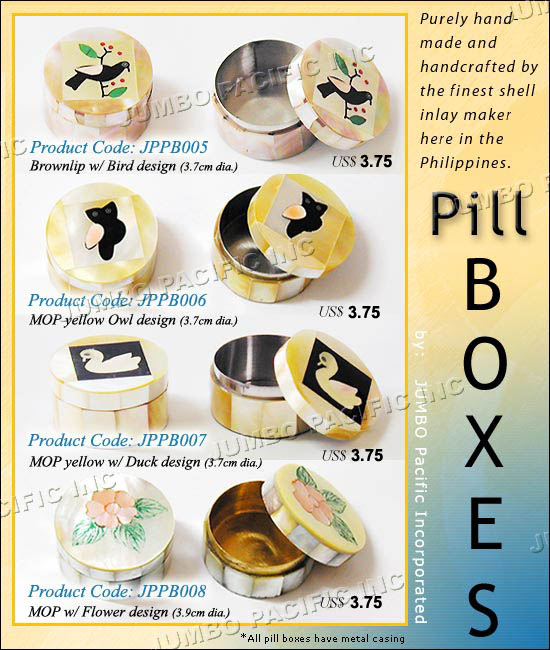 Pill Boxes in shell components with flowers and animal design. 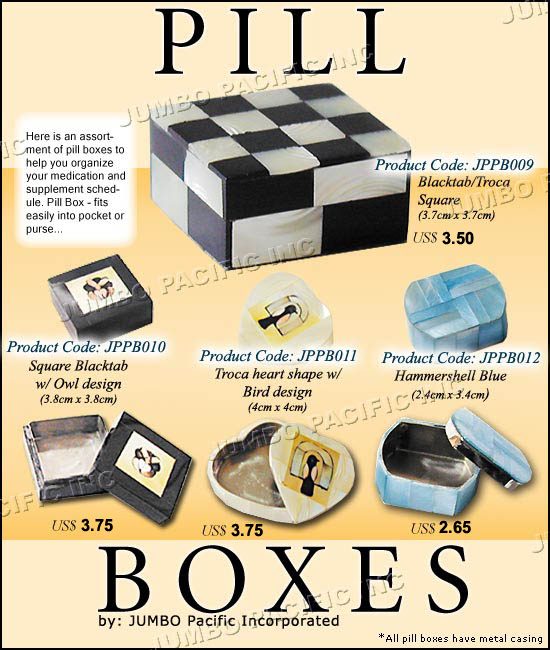 Shell Pill Boxes in Square, Heart and Oval shape design. Pill Boxes in Oval and Square Shape Design.